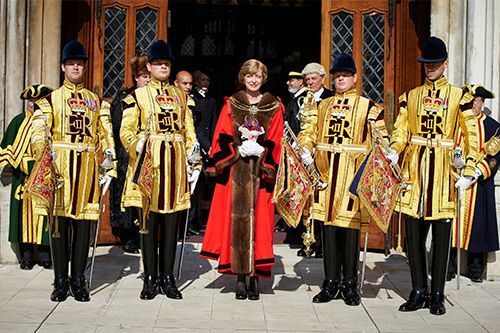 Alderman Fiona Woolf has been elected as the 686th Lord Mayor of the City of London. She will take on the role of global ambassador for UK-based financial and business services, as well as serving as the Chancellor of City University London. Lord Mayor Elect Woolf becomes only the second woman ever to hold the post in its 800-year history following in the footsteps of Mary Donaldson in 1983. "One of the many reasons that the City has prospered over the centuries is its ability to adapt and plan for the future. This expertise and experience is in growing demand as countries around the globe are confronted with fast growing urban populations in resource-constrained circumstances. As a truly global city, London is uniquely placed to help deliver the infrastructure and financing needed to rise to the challenge of sustainable". Having started working for CMS Cameron McKenna in 1978, Lord Mayor Elect Woolf became the law firm's first female partner in 1981. As an energy and infrastructure lawyer, she led the legal team that delivered the restructuring and privatisation of the National Grid. Most recently, she worked with the World Bank on regional transmission line projects to enable post-conflict countries, such as Liberia and Sierra Leone, to import electricity. Lord Mayor Elect Woolf will take office during a ceremony at the Guildhall on Friday 8th November, before leading the Lord Mayor's Show the following day. City University London will be represented at the event by students and members of staff in academic dress travelling on a vintage Routemaster bus. Alderman Woolf will be formally welcomed as Chancellor of City University London during the first graduation ceremonies of 2014, continuing a tradition which dates back to 1966.